↑Self Defense Test Ship (SDTS), formerly USS Decatur (DDG-31). At Port Hueneme, California, 16 June 2003. Photographed by Frank V. Thompson. Courtesy of Frank V. Thompson, 2003. U.S. Naval Historical Center Photograph. 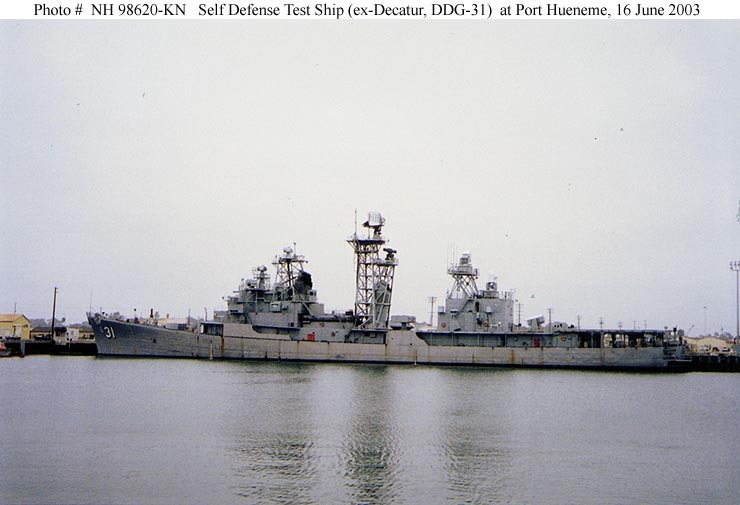 ↑Self Defense Test Ship (SDTS), formerly USS Decatur (DDG-31). 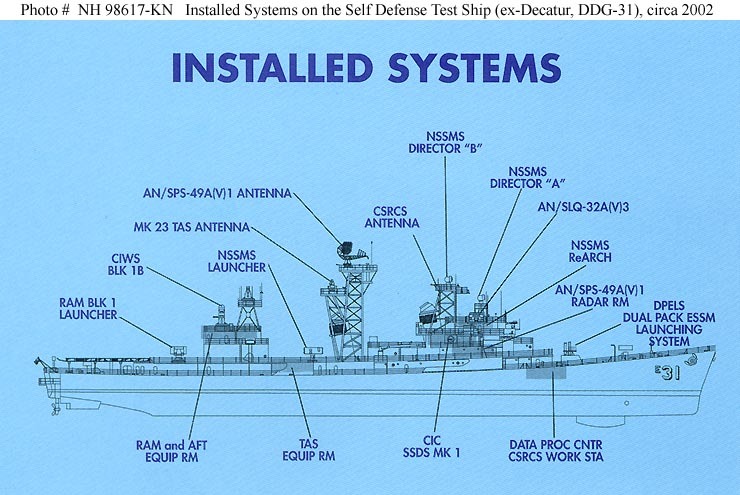 Diagram of systems installed on the ship. Copied from a brochure on the SDTS, published by the Port Hueneme Division, Naval Surface Warfare Center, 2002. U.S. Naval Historical Center Photograph.